A few small changes and some tweaks to how it performs could be all your supercar needs for it to finally look and feel like the car you know it has the potential to be. If you’ve been putting off this work because you’re not sure how long it will take or how much hard work it will be, you needn’t worry. We’ve got some ideas that are not only transformative but also relatively easy to complete. Finessing a car is about putting the finishing touches in place and ensuring nothing detracts from the undeniable qualities your supercar already possesses. You want to be able to enjoy your car without any little issues spoiling your fun, and you’ll only be able to do that if you take the time to get it just right. Believe me, it’s worth that little extra work. So which changes should you be prioritizing right now? If you’re currently stuck for ideas and are not sure where to start, simply read on and find out about the very best options open to you. 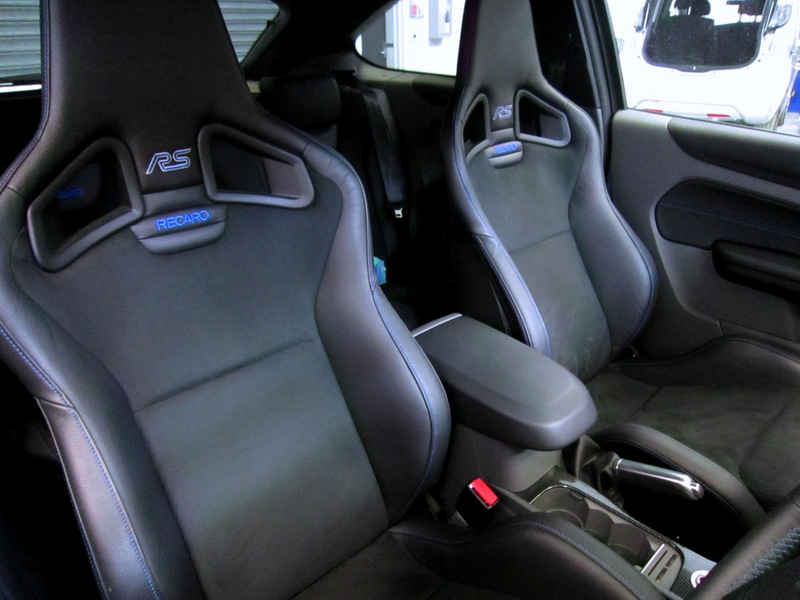 If you’ve gone as far as to purchase a supercar, it’s only right that you install some proper racing seats for it too. With the right seat selection, you’ll feel maximum comfort whenever you’re behind the wheel, and the same will hold true for your passengers too. Switching your old seats for some new racing seats requires a little brute force but it can be done relatively quickly. Just make sure that you’re not ripping out seats that are intrinsic to the classic qualities of your supercar because you might regret it later. Your supercar deserves the very best tires on its wheels, so if yours are not really up to the standard you’d expect of a top end supercar, it’s time to make some changes. When you do that, be sure to choose high performance tyres that won’t let you down. These will help you gain greater control over your supercar when you’re moving at high speeds, and that’s a fantastic feeling to have as a driver. You should also remember to change your tires as the seasons change. As well as racing seats, you need some racing pedals to accompany them. It’s a simple switch and anyone can make it happen, so it’s something that you should most definitely look into. It won’t necessarily make a big difference to how you drive, but the grip is often better and they certainly add to the racing car aesthetic that so many supercar drivers want to achieve. This is one of those things that serve no real purpose, but it’s still nice to have in place. You can really make a statement and catch people’s eyes when you have a couple of personalized number plates on your supercar. They’re also known as cherished number plates, and you should definitely consider getting some of your own if you haven’t done so already. It’s something to be proud of and it makes your car stand out from the crowd a little better. Simply waxing your car properly will make a pretty big difference to its overall appearance when you’re out and about.. A shiny and perfect finish to your car is easier to achieve than you imagine, and most of that comes down to how you wax it after it’s been washed. Learn more about car waxing techniques online and put what you learn into practice. The gauges on your dashboard are used every time you drive your car, so if yours are a little boring and uninspiring, you should swap them out for some that fit the aesthetic you’re aiming for. How easy it is to change these auxiliary gauges will depend on what car you have and how the dashboard is set up. It might only be a cosmetic change, but it’s one worth considering. The sound your car makes when you start the ignition matters a lot to petrolheads. There’s something really satisfying about hearing that roar when you get into your car and set off on your journey. This is something that’s dictated by your exhaust and the muffler you have in place. If you don’t have one of those at all, it’s about time you fitted one. It can add to the overall aesthetic and that satisfying sound. If your wheels are a little dull and basic, you need to go a step further by finding some slick and striking aftermarket alternatives. Ideally, they’ll be able to catch the eye of anyone you pass. It’s actually really easy to replace old wheels, and it’s something that you can do by yourself if you have a few basic skills. There are lots of options out there on the market; some of them are very cheap and others are surprisingly expensive. How much you have to spend will depend on what kind of outcomes you’re looking for. When you’re using your car day to day, you care about the entertainment it offers. Most base audio systems that come with cars are imperfect, to say the least. There’s always something you can do to improve yours so that eventually offers the satisfying sounds you’re looking for. First off, you should add a subwoofer to your system so you don’t miss out on any of those bass sounds. This is really important because it’s one of the most obvious ways to tell the difference between a basic audio system and a truly high-end one. Your supercar might be super, but that doesn’t mean it’s perfect. As these ideas prove, there are so many ways to finesse your treasured vehicle. Once you’ve done that, you’ll be able to drive it in complete comfort and get the most out of it each and every day of the week.